A couple of days ago I shared a link on Facebook that had been sent to me in response to some things I said in church a couple of weeks ago. The link was to a story (copied below) about a pastor who disguised himself as a homeless person and was then shunned by the congregation of the large church where he had just been appointed to serve as the new head pastor. After reading the story, my friend Josh posted an interesting question on my Facebook page: "I wonder what the reactions would be at Heartland???" Well, as we all know, God works in mysterious ways. And I have to say, this was no exception. 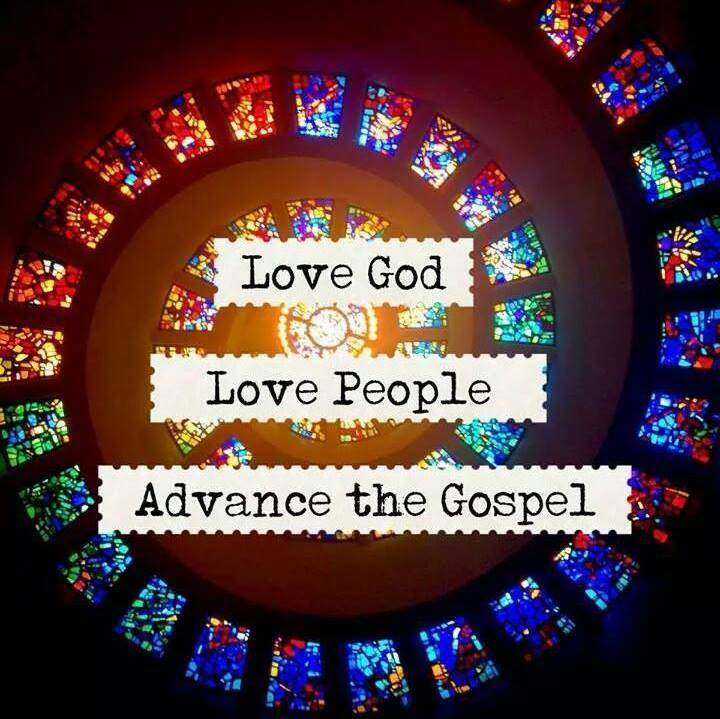 One of my little sayings to people, particularly to guests who comment about the love they feel at Heartland, is that there should not be a church in America, or anywhere in the world for that matter, where you cannot feel the love of Christ the minute you walk in the door. And, I believe that with all my heart. Love, after all, is a -- actually THE -- hallmark of who we are as Christians (or, at least who we are supposed to be)! To me, loving people and making them feel welcome is one of the best things about Heartland Church. In fact, I have to confess that it has been a matter of pride for me. I really think its something that we really do well -- and really must do well. In fact, we have quite a few people at Heartland who were hurt at other churches, and I have always been determined to do my part to insure that people never leave our church because they were hurt here. So, a couple of things happened this week after I shared that link that I need to share with you now. The first seemed innocent enough. Just a little breakdown. You know. No organization is perfect. I was talking to a couple of people after service on Sunday in the foyer of the church and one of them commented that our church could be a little more friendly. When I probed a little, I learned that although these folks were appropriately greeted when they arrived that morning, after service they stood in the foyer for quite a long time and not one person said anything to them -- although they were obviously visitors. That was certainly disappointing to hear. But, like I said, things happen. No one is perfect but God alone. So, I took note of that observation, apologized, and life went on. The second thing that happened was that in response to my link to the story of the "homeless" pastor I got an email from someone who was a partner at Heartland a couple of years ago but had since moved away. This person told me that he had experienced that "same kind of coldness" in churches he had visited, "including Heartland." We had a brief exchange about this person's experience at HC, and this is part of what he said: "Heartland was not the worst we have been to, but welcoming strangers and people passing through could be improved. Heartland seemed to be geared, like most churches, toward extroverts. Being a stranger and just walking through the door takes great acts of courage for people like me. Heartland does a decent job of greeting people on Sundays, but could go further in getting to know people at a deeper level, which is so important for the more quiet types." I have to say that hearing this was like taking a punch to the gut. It wouldn't really bother me for someone to say of HC that they didn't enjoy the worship, or that we dress too casually, or that the sermons could be better, or that they didn't like the coffee -- but, like I said, no one should be able to walk into any church without experiencing the love of God and the love of God's people. Notwithstanding this email and my conversation last Sunday, I stand by my conviction that Heartland Church generally does an excellent job of making people feel welcomed and loved. It is something I hear from people all the time. At the same time, we can do better. And I hope we do better in the future. In fact, as I think about it, maybe being a "loving" church is something that we can't or shouldn't take pride in at all. Maybe being a loving church is just one of those things that has to come from a place of humility. Oh, and by the way, to answer Josh's question. I suppose that how Heartland Church would respond to the "homeless pastor" scenario might depend on the particular day. It might depend on who the "homeless" person came into contact with and how those people were doing on that particular day. It might depend on many things. Although, generally, I would like to think that Heartland Church would respond in a way that brought glory to God. A couple of years ago two homeless men came into the church on an extremely cold Sunday morning. I don't remember a whole lot about it, other than ultimately it came out that the men were not really interested in attending a service, but they were living outside, could not take the cold and wanted a portable heater like you would use for camping. In fairly short order, one of our partners, armed with a church credit card, was headed to Walmart to buy the heater that the men needed. When he returned, some of our partners prayed for the men, gave them the heater and they went on their way. On another Sunday morning, another homeless man came into the church. He had apparently walked quite a distance, as he had no means of transportation. After talking to one of our partners, it came out that the man needed money for a bicycle and also wanted some money to buy his niece (I think it was) a birthday present. So, that partner bought the man a bike and gave him some extra money to buy the gift. By "coincidence," later that day the same man was seen with his bicycle locked up in front of a "Toys R Us" buying a toy for a little girl. I guess we do get it right sometimes! So, here is the story that started all this. Ironically, after doing a little digging on the internet, it appears that the story was invented. 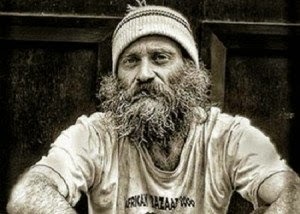 "Pastor Jeremiah Steepek transformed himself into a homeless person and went to the 10,000 member church that he was to be introduced as the head pastor at that morning. He walked around his soon to be church for 30 minutes while it was filling with people for service, only 3 people out of the 7-10,000 people said hello to him. He asked people for change to buy food – no one in the church gave him change. He went into the sanctuary to sit down in the front of the church and was asked by the ushers if he would please sit in the back. He greeted people to be greeted back with stares and dirty looks, with people looking down on him and judging him. As he sat in the back of the church, he listened to the church announcements and such. When all that was done, the elders went up and were excited to introduce the new pastor of the church to the congregation. “We would like to introduce to you Pastor Jeremiah Steepek.” The congregation looked around clapping with joy and anticipation. The homeless man sitting in the back stood up and started walking down the aisle. The clapping stopped with all eyes on him. After he recited this, he looked towards the congregation and told them all what he had experienced that morning. Many began to cry and many heads were bowed in shame. He then said, “Today I see a gathering of people, not a church of Jesus Christ. The world has enough people, but not enough disciples. When will YOU decide to become disciples?” He then dismissed service until next week. Following in the footsteps of Jesus Christ should be more than just talk. It ought to be a lifestyle that others around you can love about you and share in."